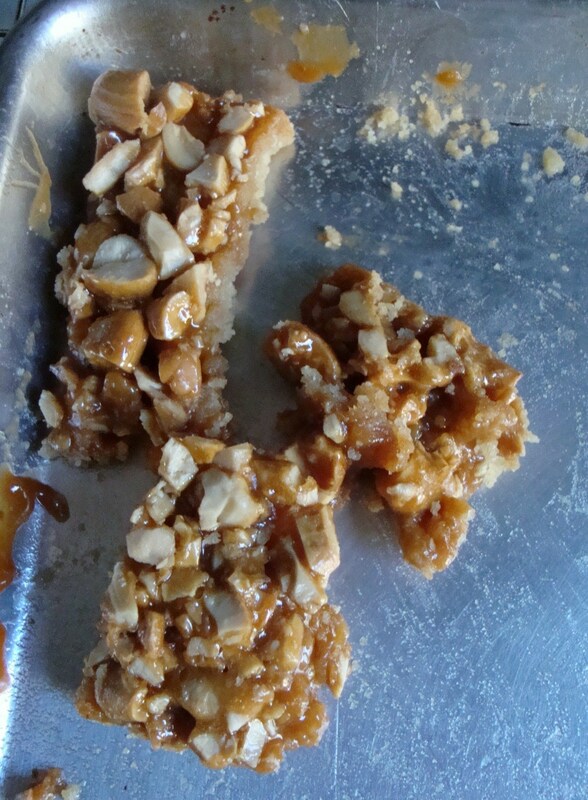 Biggest hit of the Fourth celebration,and an easy summer treat: Butterscotch Cashew Bars. Crunchy, sweet, salty and gooey all at the same time. Thanks to Amy Scherber of Amy’s Bread for sharing a childhood favorite.